Notch's indie game Minecraft is a great sandbox-style building game that provides infinite ways to survive in a virtual 8-bit world. It brings out the creativity in you and lets you create anything from a destructible terrain. I wonder why Lego could not have looked beyond Lego Batman, and come up with an idea like that, a game that would allow players to build a virtual world with Lego blocks? In any case, others have come up with quite a few free games like Minecraft (and Terraria) for your PC that are as impressive as the original. StarMade lets players explore multiple worlds in an infinite universe. There are hundreds of totally different planets to discover in a huge procedurally-generated universe, with a space station to command and enemies to fight. The game lets you build your own ship from textured cubes and get your base ready to explore the vast blocky space. 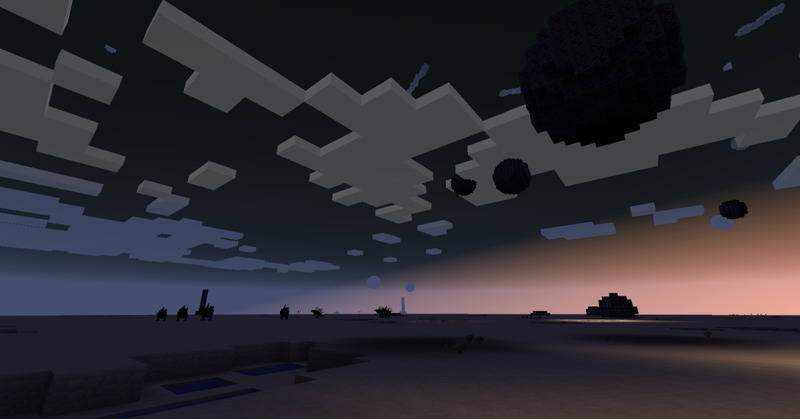 The game’s similar to Homeworld, but takes place on a blocky, infinite 3D universe. StarMade’s building ideas are limitless, with near-infinite ways to build and expand your base in an open universe. The game plays just like any space game, and gives players an opportunity to form alliances with other players and fight epic battles in space. I love the sandbox build mode. 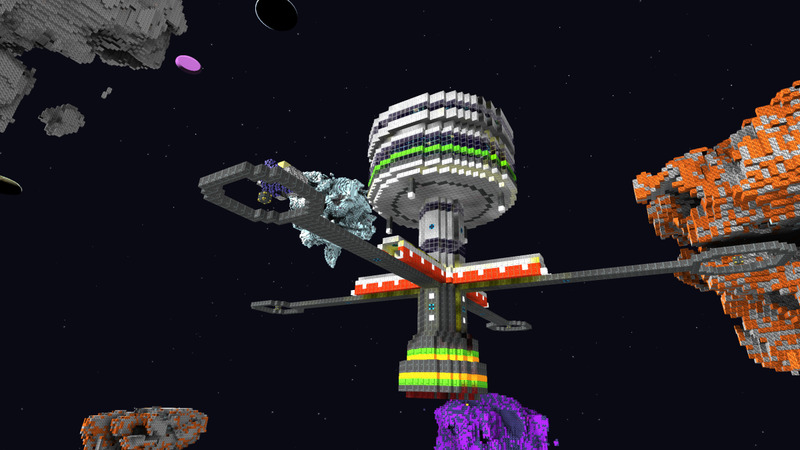 You can create a wide variety of gigantic space stations and ships. But make sure your ship works. StarMade’s a physics-based game, and so the building mechanics, although easy, can be a bit challenging if you are planning to create a huge space station. 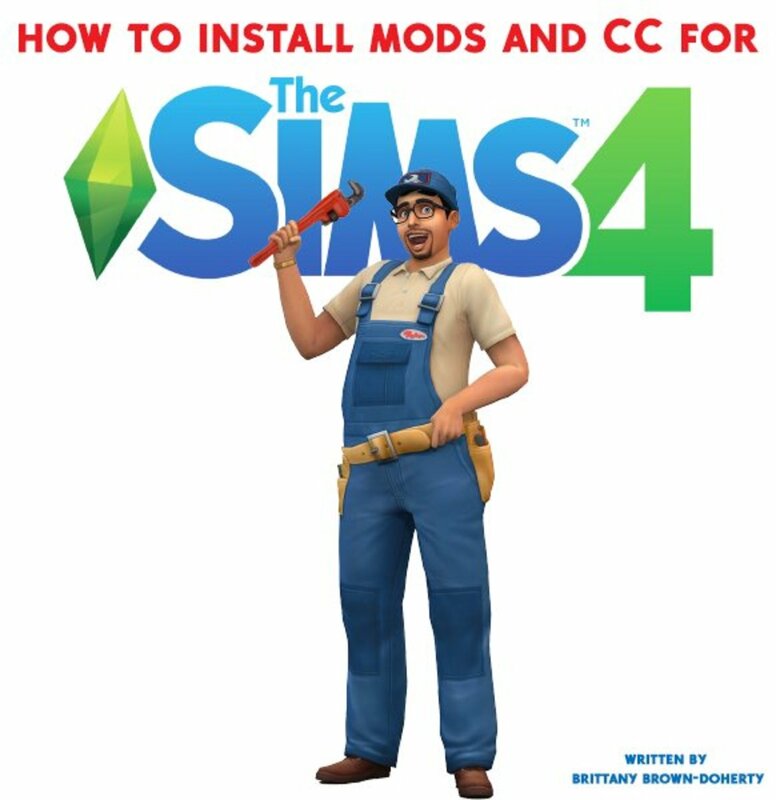 You can learn the basics via the game’s built-in tutorial mode. If you want to create spaceships and you like space-themed games, then this game is for you. 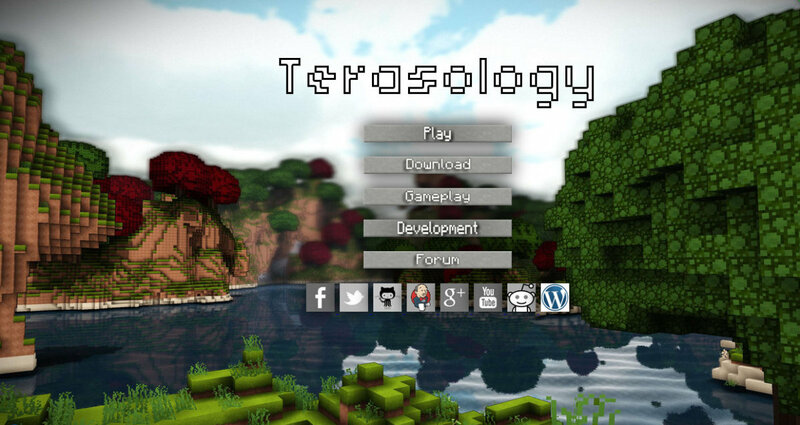 Terasology is a beautiful homage to Minecraft. Though it borrows gameplay elements from Minecraft, including crafting and user-interface elements, the graphics are just too gorgeous to call this game an outright clone. 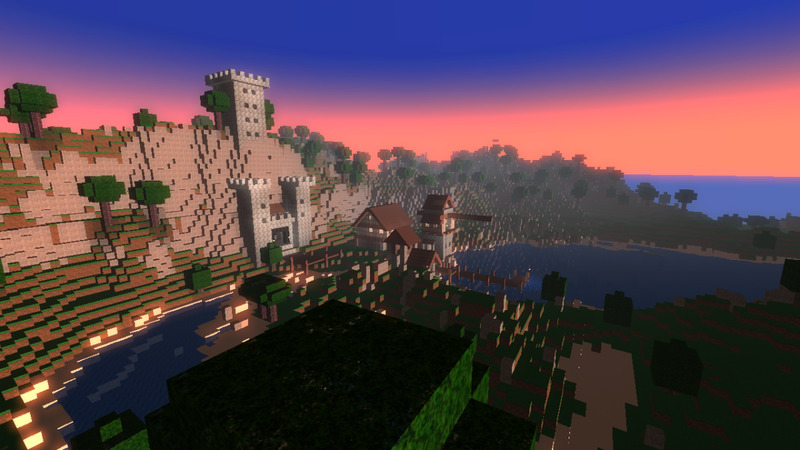 Developers have created a visual masterpiece, a splendid 3D blocky world. The game has a full day/night cycle, and the nighttime environment looks amazing, more so with a pixilated moon beckoning at you. The game runs on Java, which may not be welcomed by gamers who are concerned with their PC’s security. Terasology can be played on your browser, but may take time to load, so make sure you have a fast Internet connection. 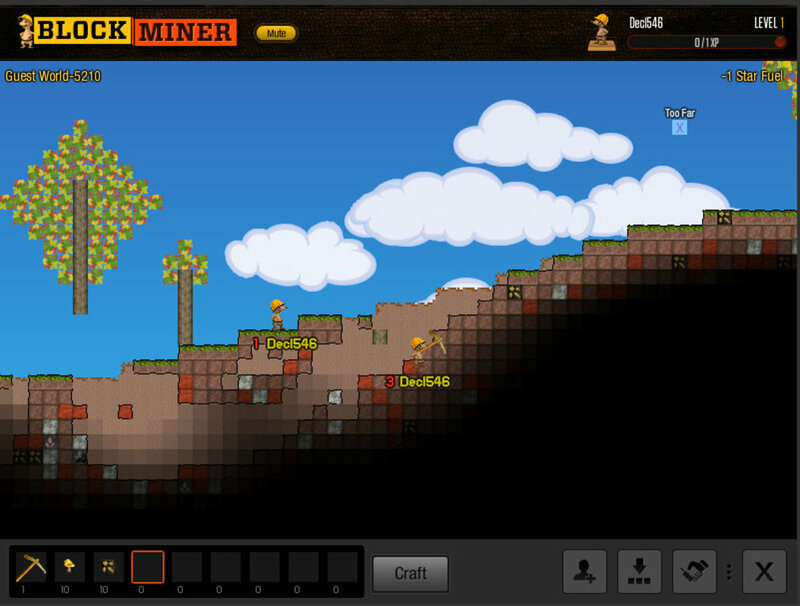 Blockminer is a 2D game with gameplay elements similar to Terraria. There are plenty of randomly-generated worlds to explore, items to collect, and crafting opportunities. You can make your character jump over obstacles. You will need to dig up the earth to discover the ingredients required to craft common and uncommon equipment. To make what you need for mine exploration--pickaxes, torches, bricks and pattern backgrounds--just hit the "Craft" menu at the bottom of the screen. The game explains the bare basics through a tutorial mode. You will learn how to mine blocks, jump, and use items. Crafting and other features can be unlocked once you have signed up with the game (signing up is free, and necessary in order to save your randomly-created world). 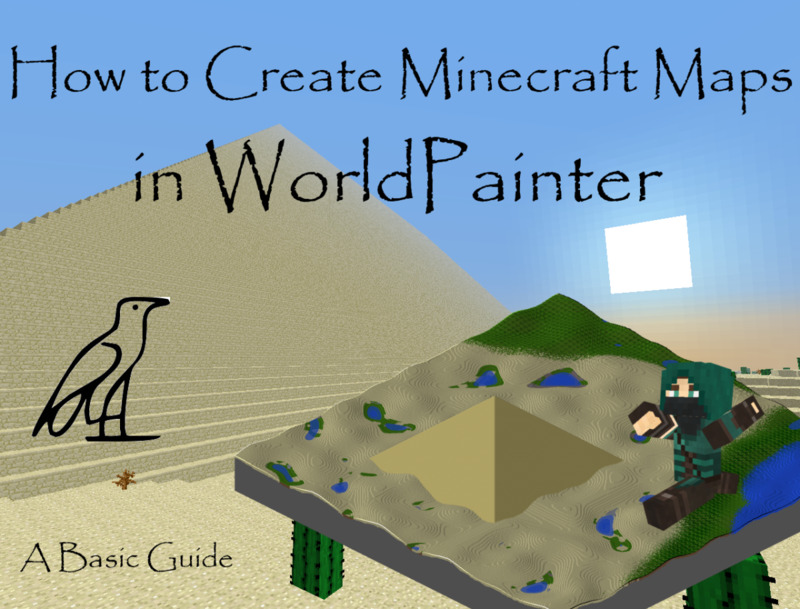 The game lets you create a world from scratch or join a random mine. Joining a random mine will also give you an opportunity to dig deep along with other online players. Blockminer’s crafting features are exhaustive. There are plenty of items you can craft, but to do that you will need to level-up, which can only be done if you mine through a random world, exploring its oddities. A fun game, BlockMiner is hosted by Kongregate. Gameplay in Gnomescroll is similar to Minecraft, but darker: its environments are totally out-of-the-box and bizarre, with weird planetary environments to explore and strange mobs to encounter. You can loiter around the procedurally-generated world, collect resources, build your base, and use ingredients to craft new items. 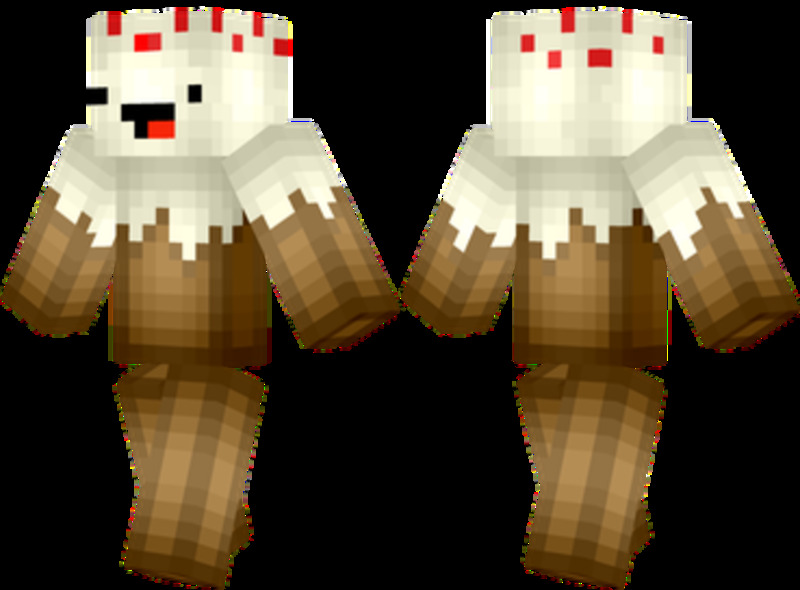 Scary creatures will try to foil your plan, and so you will need to kill them and collect items dropped by the dead mob. Before you start playing Gnomescroll you need to download and install it. 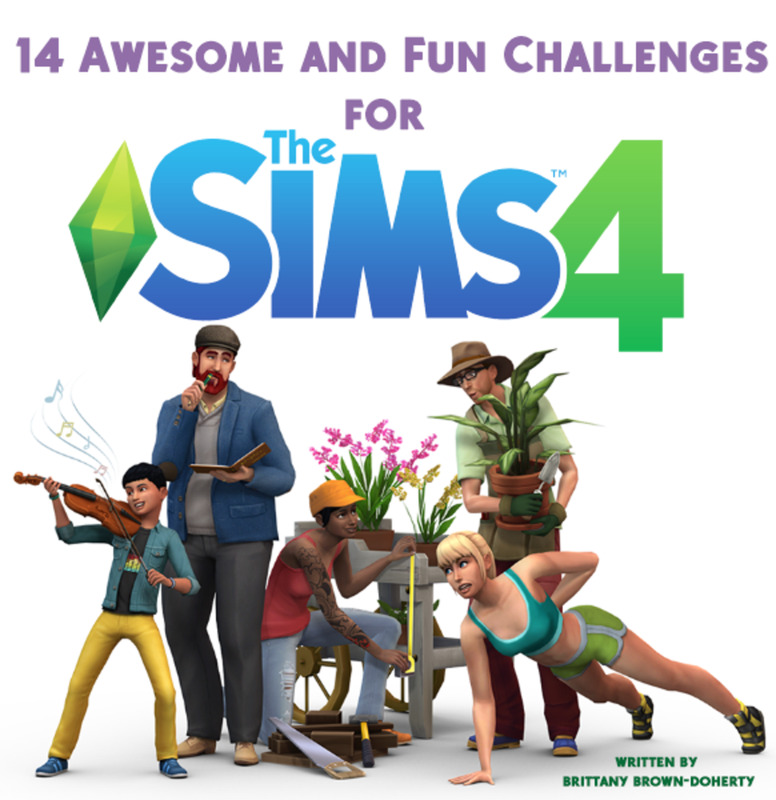 You may also need to sign up before you can begin exploring the randomly-generated world. Fans of the original game will immediately recognize a similar-looking interface, but newbies should head straight to the game website to understand game basics. 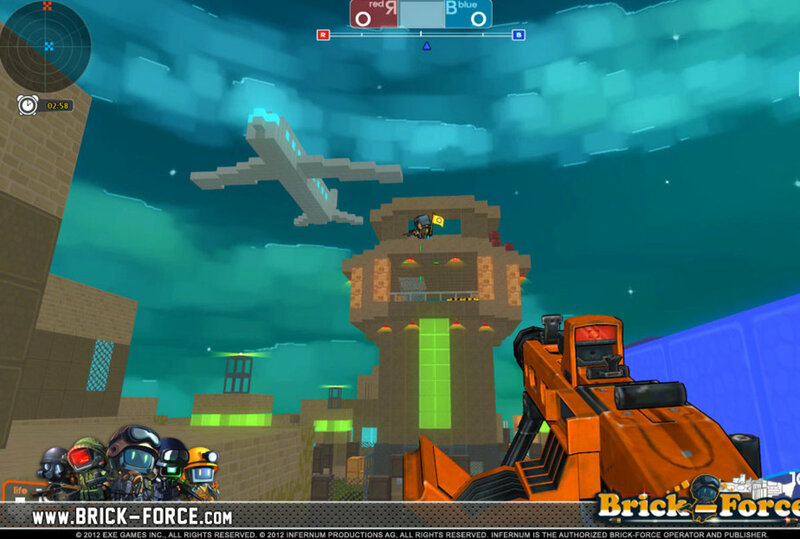 The Minecraft-inspired FPS shooter Ace of Spades has got competition from Brick-Force. In Brick-Force you command Lego-like toy soldiers, equipped with assault rifles, snipers, and other modern weapons, in a 3D pixilated world! The shooting part is fun and delightfully similar to standard online shooters. The best part is that it is free to play, with an option to buy additional items to spice up gameplay. Brick-Force can be played in your favorite browser. There’s also a downloadable client, which can be installed on your PC. The game requires Unity 3D player to run. It offers some of the most popular multiplayer games, including classic modes like Death Match and Capture the Flag. 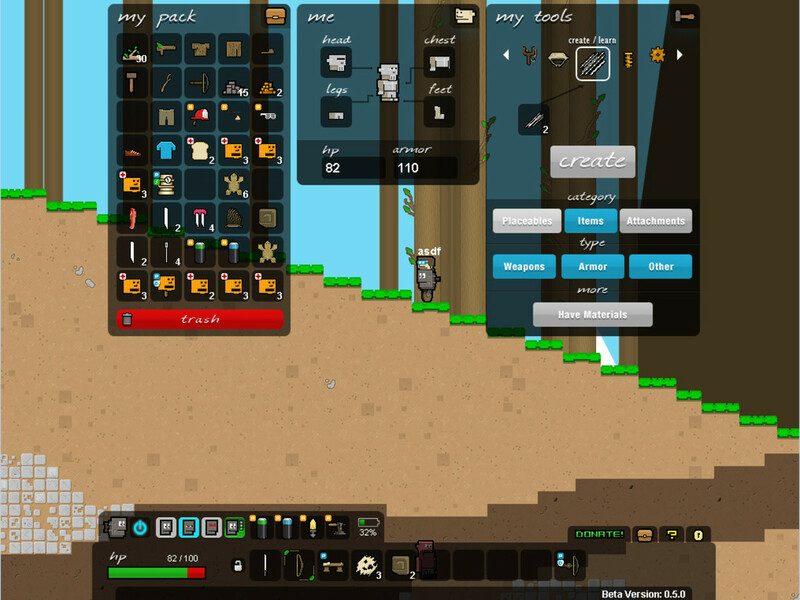 The game’s world-builder option lets you create your own maps and play with other gamers online. You can create your own brick world by using 3D pixel blocks and add special equipment such as turrets and bomb sights. There are plenty of maps to discover via the site’s play mode. If you love shooting games and 3D pixel-based games, then you should try this out. Minetest is an open source building game that's not heavy on specs, which means you can easily play this game on your 945GM Netbook. The game offers a survival multiplayer mode, one of its key highlights. You can download the game, but expect it to be bug-ridden. 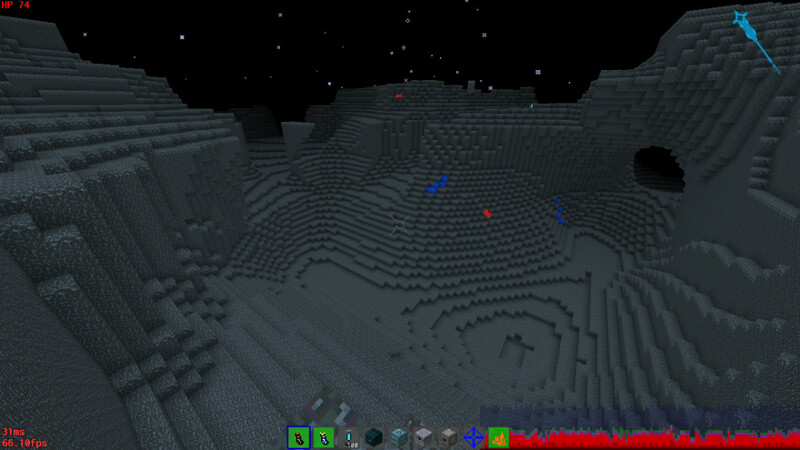 Also, terrain is generated pretty slowly. The game offers regular new updates and patches, which means this is quite a serious project. 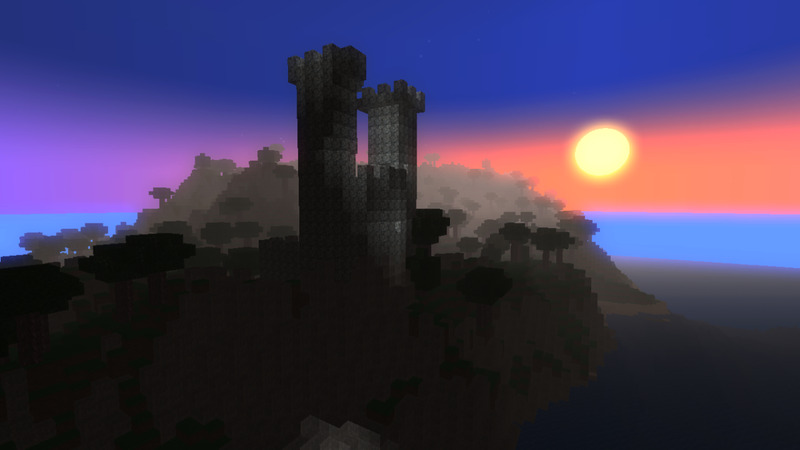 Minetest supports the day and night cycle. Check out the screenshots and I am sure you will fall in love with this awesome building/digging game. King Arthur’s Gold, a 2D side-scrolling role-playing game like Terraria, is set in medieval times and gives you ample opportunities to show your building and crafting skills. 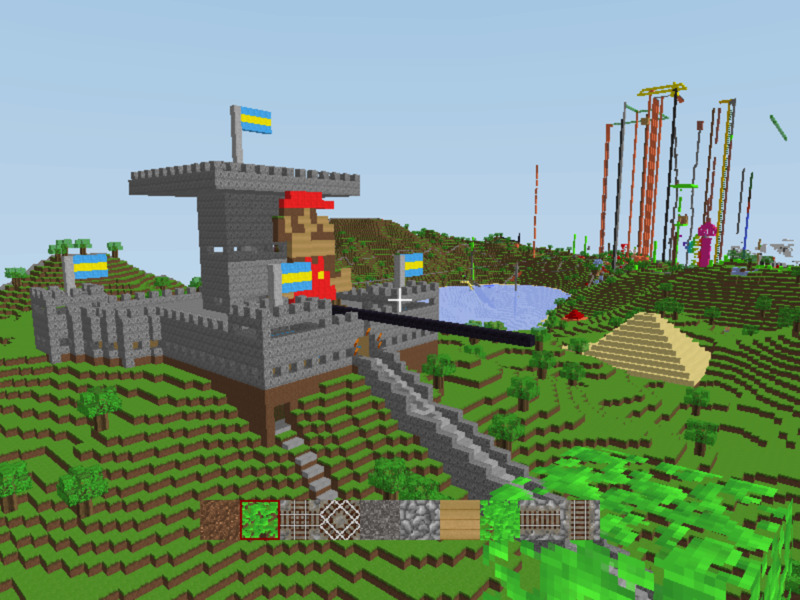 You can mine resources, build and defend castles, and attack other castles by building siege machines using materials scattered throughout the destructible terrain. There are different types of game modes for your pixel-hunting pleasure. You can hunt for gold, capture the flag, or engage in a quick deathmatch against other online players. I personally love the Gold Hunt game mode, which pits two teams against each other to hunt for gold. The team with the most gold wins the game. Here you will have to use your hunting and crafting skills to the fullest. Deathmatch and capture-the-flag modes feature full PvP combat, which might appeal to gamers who want a bit of action besides building/crafting. Minecraft itself was actually inspired by Infiniminer. 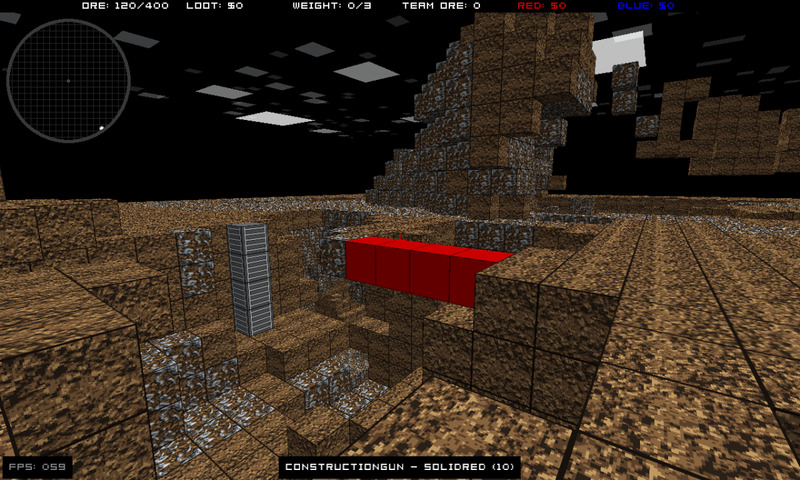 Developed by Zachtronics, Infiniminer was the first 3D virtual world that allowed players to construct and search for objects made out of textured cubes. Infiniminer was built to encourage a team-based competitive environment. The team that discovers and excavates the most virtual gold and gems wins the game. Unfortunately, game development was stalled within a month of its release. Infiniminer was the first game to have introduced a procedurally-generated pixilated world to the gaming crowd. Sadly, it got overshadowed by something more exciting and impressive. You can still play the game for free. Search "Infiniminer" on Google and download the game client. This fun game focuses on building rather than PvP combat or any other gameplay element. BlockYard is fun for budding engineers who would love to build their own cities, robots, weapons, tanks, and airplanes in the 3D virtual world. 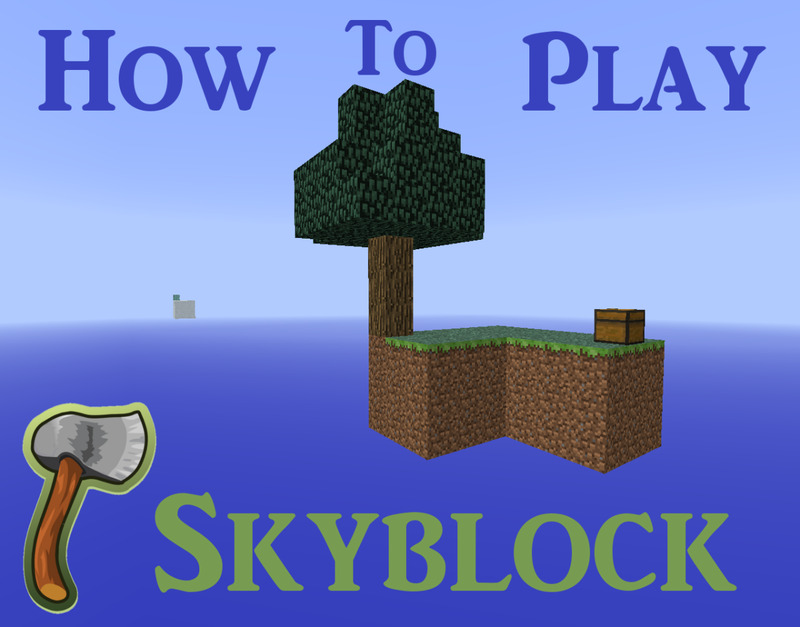 The physics-based game allows players to click on the ground and build a block. There are various other controls that will help you change the shape, size and other aspects of any objects you’ve created. The game requires Unity 3D plug-in to play. If prompted, you will need to download the plug-in. BlockYard does not need any client to download; you can play the game right on your browser. I would recommend playing it on Chrome. Epic Inventor at first glance looks like a Terraria clone. This totally free game combines role-playing elements with real-time strategy elements and provides an excellent platform to showcase your construction skills. It lets you build your own cities, robots, turrets and many other objects and weapons. You can create any of these objects from scratch by mining resources. 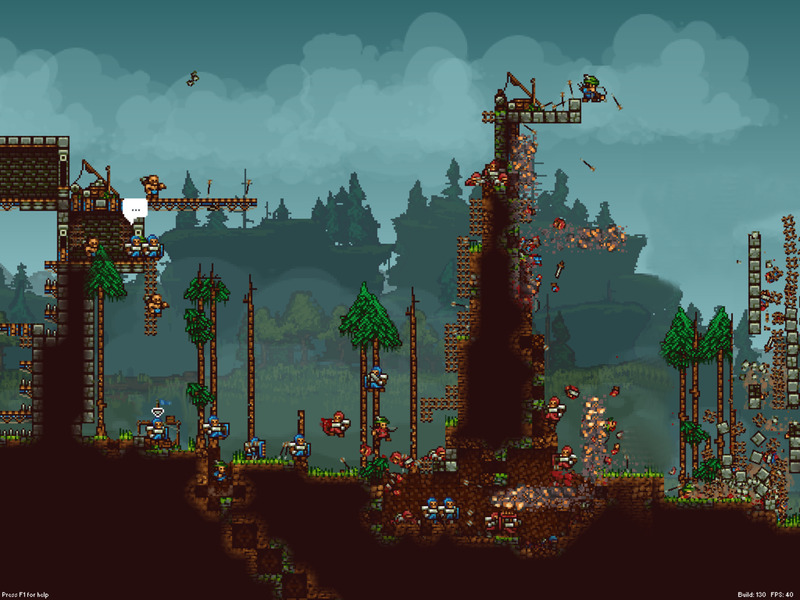 Just like Terraria, Epic Inventor focuses on the quests of a lone adventurer. You will have to guide him through forests and plains to collect resources and craft them. You will then have to build your city, turrets and buildings to defend yourself against spooky creatures and other enemies. But as you progress further, the game looks less like Terraria and more like a real-time strategy game à la Age of Empires. You will have lumber mills to generate wood instead of crafting stations. Basically, Epic Inventor is a RTS title with mining/building/destroying elements. Roblox is an impressive virtual playground that allows players to build objects from colored blocks, interact with online players, and have fun creating their own virtual world. Roblox offers thousands of building-block games for kids and teens, with various objectives. Players can customize their avatars by changing their attire, clothes and gear. With Roblox, players can also interact and collaborate with random online players to create impressive structures like a huge fantasy skyscraper or a helicopter. The game has its own virtual currency called Robux, with which you can buy clothing and accessories for your online avatar. Manic Digger is another free block-building game. 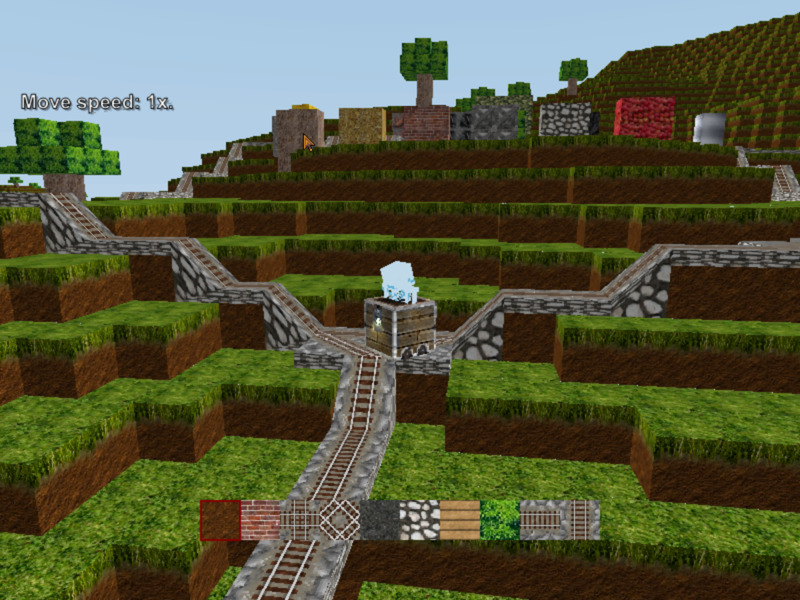 This sandbox game was actually a third-party client for the classic version of Minecraft, and is now available as a separate game at sourceforge.net. Manic Diggers's premise is familiar: build buildings and craft objects on a completely destructible terrain. There is a near-infinite number of square blocks to take advantage of. You will immediately recognize the 8-bit look. 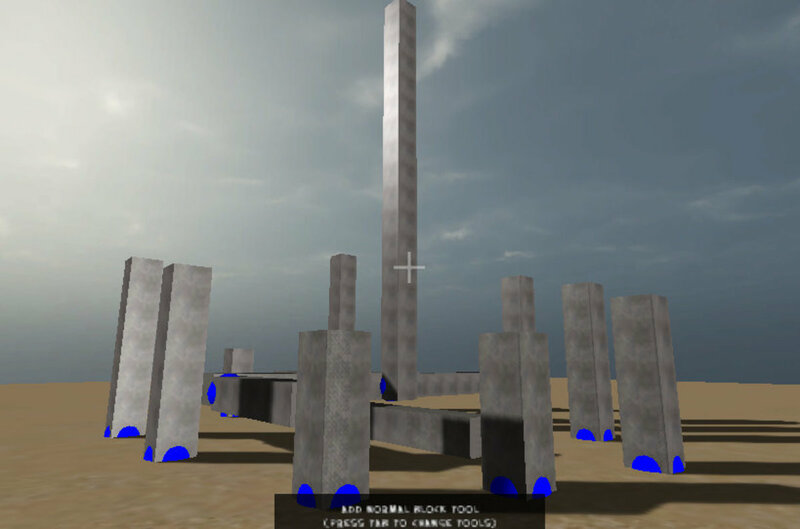 Build anything, using resources that lie scattered in the virtual world. 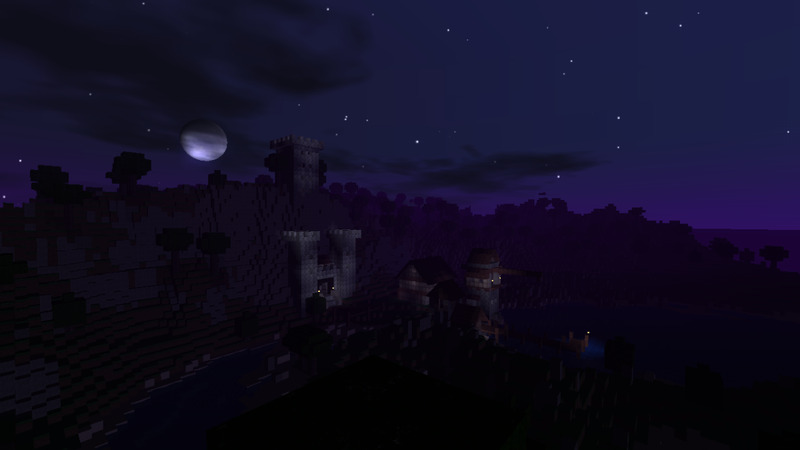 The recent night-time update spices things up and offers a beautiful twilight scene. What's Your Favorite Free Minecraft Clone? MythRuna offers tough competition to all the free Minecraft-like games mentioned in this list. Combining the procedurally-generated 3D world with RPG elements, this game offers a never-before 3D sandbox gameplay experience. It combines role-playing with crafting elements, i.e. creating objects from the constructible terrain. MythRuna is now available for download. Visit the official site and click on the download link. All screenshots courtesy of their respective game developers. Which free game that is similar to Mincecraft would you say is the best? 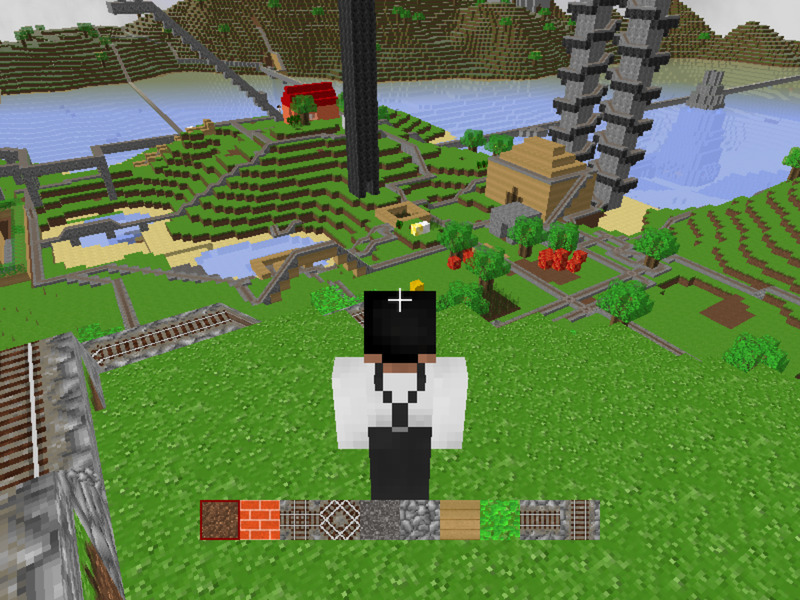 IMO Brick Force, Manic Digger, Terasology and Minetest are some of the best Minecraft-like games. Not sure if it's been mentioned but Trion Worlds have released something similar to Minecraft called "Trove". It's a decent game and also free to play. Great coverage of the available games, Brick Force is new to me and I've been itching for an FPS for a while, might be worth trying out. 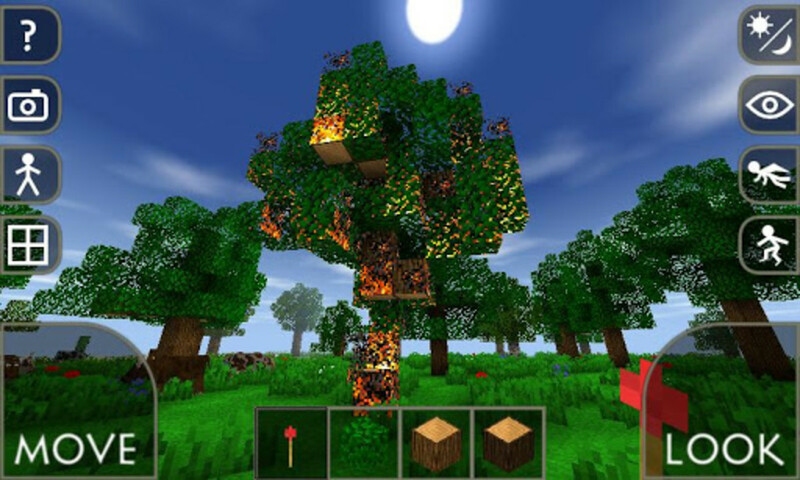 In my opinion, Minetest is the best free Minecraft - like game. Screenshot is outdated, now it looks a lot better. 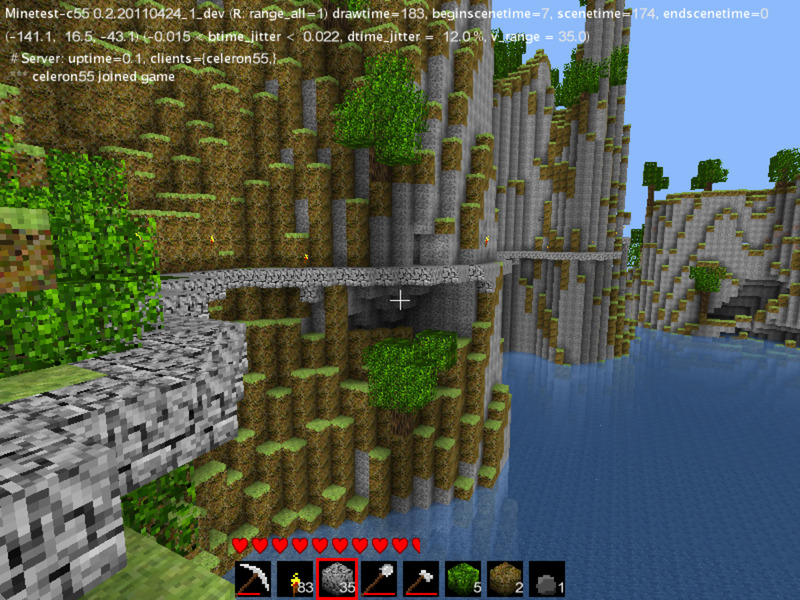 This game has a big advantage over Minecraft - there is no vertical terrain generation limit. Also it has many mods that make it nearly as advanced as MC. But ih has one problem - it lags on almost every computer. Theoretically runs at 60 FPS, but lags. Good collection of games... Minecraft is a favorite but honestly I've never tried these. Have you had any luck with them? This is an awesome write-up. I play minecraft with my brother quite often and we're getting bored. I'm definitely going to suggest some of these games to him. These days I really only play Roblox though because it's always changing with new creations from the other players. I've never been good at creating my own stuff but I do love seeing what others come up with. Thank you for collecting the games in one spot! I love roblox I been on it since 2012! Thanks for the hub. I love Minecraft. I'm going to have to get a few of these other games. @Cardboy369 Well, you can update your adobe Flash Player (that's what it's called) by visiting Adobe's website. do i have 2 download minetest? You forgot 'Blockland', it's kind of like Minecraft! I think the quality of free games that come out now are great. No longer do we have to pay crazy amounts to enjoy gaming. I didn't realize there were so many variants out there. My stepson loves Minecraft, I'll be looking into these others! Thanks for this info! but ace of spades is is it not? This games looks pretty i am downloading epic inventor whith utorrent. Wow these games are also much fun!!!!! I have to say that Roblox is my favorite though (Original Minecraft equaly as epic) I like Roblox because it has such a large variety. If you like shooter games, there are over 2,000 games related to the subject. If you like building games there are possibly the largest quantityof theese. There are RPG's and Obbys,nearly anything imaginable has been created on here. You can build your own game, as kyro said, for a *short* period of time the skilled tool menu was removed, but it has been returned due to millions of complaints. Roblox has two parts to it, "Roblox" (Game) and "Roblox Studio" - the skilled scripter and builder version. nearly everything on Roblox is free, exception being clothing, hair, faces etc. You do not need to spnd real money to have fun on this game! I like these :) since my pc can't get minecraft i can possibly get one of these :D thank you so so so so so so so so so so so much! @Jordan Go to Google.com and type in the name of the game mentioned in this list. The first result will be the game website where you will be able to download the game first and then play it. hhai im 9 and i luv minecraft!!!!!!!!!!!!! You'll need to download the game first. Just Google "Epic Inventor" and the first link is the link to the game page. where can i play Epic Inventor??? Yeah I am going to have to check out the Epic Inventor game it looks pretty awesome in my opinion. But when you mentioned it was like a RTS later on I immediately went to go download the game lol. Hi guys ! I have a goody for you all, the game is called StoneQuest it is now in the pre alpha but it is very nice you can find it on facebook or on google ! To Guy, that's totally a good reason to not like a game. You have the most amazing games i've ever played, I have them all. These are fantastic! I'm glad out of all the sites i've found on my minecraft-related games, I picked this one. You have done a glorious job of finding so many awesome games, and I hope you continue posting. You are amazing, and I don't know how many time i'll say it in this post, I probably don't know because you deserve it so much, and I can only say so much for ya'..Well, I really really, really hope you continue posting..And farewell, as I'd love to continue typing, but I need to go watch my mischeif children. I shouldn't be on the computer anyway, huh? Well, see ya'! in my personal experience, Roblox has gotten terrible. you used to be able to build whatever you want (with coding skill), and it has changed to being able to make a lot less by getting rid of a tool bar full of tools and other people's items. so because of this, I do not recommend this. i have to say, ace of spades is absolutely wicked! thank you very much! i got all the games you listed because there AWESOME! @blueheavenmilkshake You can Google the name of any game mentioned here. The first link will be the link to the official site. Anyway, I will update this article with download links, until then, just do a Google search and you will find a link to the official site, where you can download the game for free. how we play this game? Yes, all of these are downloadable games. I will add any new stuff if I find browser-based ones. @Kwe - Thanks, will check it out. Thanks, Sheila. Will try this game. It's not a Minecraft type game, nor is it as easy, so it might not be for everyone, but Dwarf Fortress is another awesome free game. 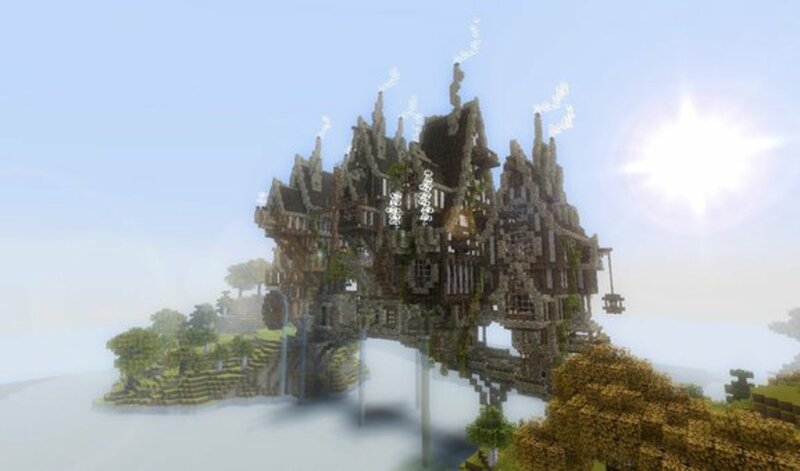 It takes patience, tutorials, and asking on the forums to learn it, but once you have it down, it's incredible. Wow, I didn't know there were so many Minecraft clones. Nice job. Vote up! Thanks Donna. Glad this article proved useful. I am a big fan of Minecraft! Mm..these look interesting...especially the King Arthur's Gold, BlockYard and Roblox. I'm going to let my little guy read this review and choose one to add to his gaming arsenal, and I thank you for sharing the information about them. It's really hard to find games for his age level that aren't all about destruction and death:) Voted up and useful.